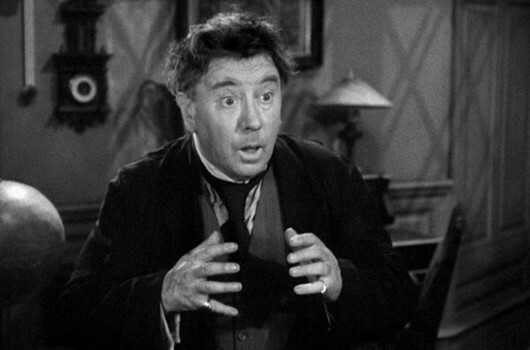 Born on the 27th of June, 1884 in Cork, Ireland, Forrester Harvey frequently played comedic supporting roles such as innkeepers or barkeepers. He is recognised in the horror world for several roles, including The Invisible Man (1933), Dr Jekyll and Mr Hyde (1941), and for his portrayal of jittery assistant Twiddle in The Wolf Man (1941). He died on the 14th of December, 1945 in Laguna Beach, California.